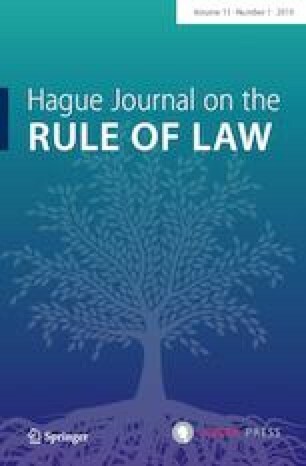 In recent years the creeping deterioration of democratic rule worldwide has become a major preoccupation across a wide range of research fields and disciplines—especially public law and political science—as scholars struggle to understand the nature of evolving threats to a broad range of democratic systems. Many terms are now used to refer to the incremental degradation of democratic rule worldwide, or ‘democratic decay’. Abusive constitutionalism. Autocratic legalism. Populist constitutionalism. Bad faith constitutionalism. De-constitutionalism. Constitutional retrogression. Constitutional capture. Constitutional rot. Constitutional decay. Democratic deconsolidation. Democratic backsliding. Authoritarianisation. Authoritarian backsliding. Rule of law backsliding. Democratic erosion. Democratic recession. The list goes on. This article argues that conceiving of this scattered cross-disciplinary literature as a research field and providing an account of recent conceptual development can help to map a rapidly developing landscape, maximise the analytical utility of key concepts, identify resonances and duplication among concepts and across discrete literatures, and can help to ensure that this emerging quasi-field develops in a more coherent and rigorous manner.